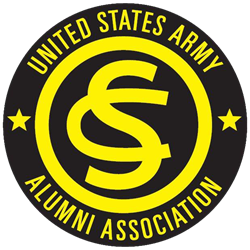 The United States Army Officer Candidate School Alumni Association in concert with the United State Army Officer Candidate School is making plans for the annual U.S. Army Officer Candidate School Hall of Fame Induction Ceremony, Patterson Award Dinner and U.S. Army OCS Reunion April 25-29, 2015 at Ft Benning/Columbus, Georgia. Officer Candidate School has been located at Ft. Benning, Georgia for over 72 years. The U.S. Army Officer Candidate School Hall of Fame was established in 1958 to honor Infantry Officer Graduates of the Officer Candidate School Program, who distinguished themselves in military or civilian pursuits. Inductees are general officers, Medal of Honor and other valor winners, had exceptional wartime experience, elected to public office or selected for public service- all this year’s inductees meet one or more of these criteria. OCS grads of the past can join together with OCS grads of the future for special events and programs. "2015 will be the 50th year since the OCS Program started ramping up for Vietnam. Starting in 1965, the eight branch OCS Programs grew at a phenomenal rate. Just at Fort Benning, GA there was 29 training companies; a class graduating every week. OCS Classes planning to have a 50th Year Reunion are asked to please consider coming to this National Reunion for OCS graduates. The OCS Program at Ft. Benning is the only Officer Candidate School currently in operation, says Al Cartwright, President of the U.S. Army OCS Alumni Association. OCS Alumni Association will host a number of events showcasing the program’s past, present, and future, and the opportunity to meet and interact. The events include: a brief on Officer Candidate School, a lunch reception with Officer Candidates in the new Wigle Hall, a tour through the new Officer Candidate School facilities, the Memorial Walk, golf tournament, ice breaker social, observation of training events, OCS Hall of Fame Induction Ceremony, Patterson Award Dinner at the National Infantry Museum and an opportunity for the brave of heart to conduct Physical Readiness Training with the Officer Candidates to name a few. Updates on these events will be posted at http://www.ocsalumni.com.